Lyme Disease is a very serious and painful condition originating from a tick bite. Humans and animals can all get Lyme Disease. Learn where it comes from, how to avoid it and how to detect it. We’ll also discuss the cures. Lyme Disease is contracted from the bite of an infected deer tick or a Western black legged tick. These ticks are native to the Northeast and Midwest or Pacific Coast region, respectively. The bite of an infected tick transmits bacteria into its victim, thus causing Lyme Disease. Ticks are small insect-like creatures…arachnids, to be exact. They are found in grass, brush, wooded areas and on some animals. They are prevalent on deer and large rodents. Unlike other predatory insects such as mosquitoes, who “hit and run”, ticks bite and hang on to their victim. They “dig a well”, so to speak, feasting off of their blood. “Prevention is worth a pound of cure.” Benjamin Franklin’s wise advice. He could have been talking about Lyme Disease! Lyme Disease is nothing to mess with. Humans and their pets should, first of all, avoid contact with deer. Lovely creatures as they may be to watch from afar, it’s best to keep a distance. Next, if you are going to be camping or hiking in wooded or grassy areas, dress accordingly. Long sleeves, long pants, socks with real shoes (not sandals), everything tucked in well. Especially if you are going to be in an area with identified cases of Lyme Disease, wear an insect repellent containing at least 20% DEET. Dogs and cats should also be treated with a repellent during the months of May – August which is known as “tick season”. If you or your pet have come in contact with deer or have been hiking in wooded, brushy areas, make a close inspection to see if you have brought home a tick. They are the size of a small poppy seed, so be methodical and thorough in your search. Early detection can make the difference between a relatively easy cure and long-term problems. If you are aware of a tick on your dog or cat, do not try to remove it yourself. It is important that it be removed by your veterinarian. The vet has the expertise to remove the tick with special tweezers designed to keep the tick in tact–gently removing it’s jaws from its victim–and reducing the possibly of spreading the disease further. 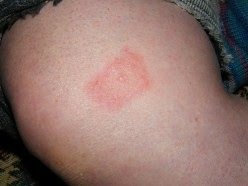 The initial sign of Lyme Disease in humans is a target-like red rash appearing on the skin. 70-80% of those who contract Lyme Disease display this rash. Seek immediate medical attention if you have one. Neurological disorders in late stages of the disease. According to the National Institute of Neurological Disorders and Stroke, the complications of Lyme Disease in later stages can include Bells Palsy (affecting the facial muscles), pain, weakness, loss of feeling (numbness), visual problems, nerve damage in arms or legs, sleep disruption, and meningitis-like symptoms including severe headaches, stiff neck and fever. Catching the disease in its earliest stages increases the probability that it can be cured. Soon as symptoms arise–the oval ringed “target” rash (or any red rash), flu like symptoms, joint aches, etc.–see your physician. Especially if you have been in an environment where ticks may be present, it is imperative that you be tested. According to the CDC (Center for Disease Control and Prevention),Lyme Disease treatment will most commonly be an oral antibiotic such as amoxicillin. More advanced cases where the neurological system is affected may require use of intravenous antibiotics, instead. 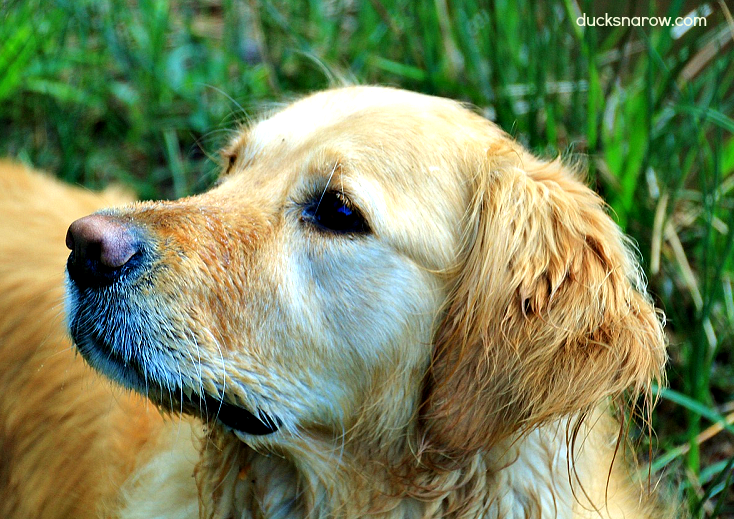 As in the case of humans, diagnosed Lyme Disease in dogs and cats is treated with antibiotics. Late diagnosis of Lyme Disease can have horrific results. Palsy-like symptoms can take over the victim’s body. Have you, or someone you know, ever had Lyme Disease?